EE&G was retained by P&J and mobilized within 12 hours. They mobilized to various trailer parks throughout South Florida following Hurricane Wilma in Fall 2005. The EE&G team performed initial damage assessments of 100’s of trailers and park facilities. On the other hand and then aided the prime contractor with pre- and post- reinstallation inspections. Finally, they acted as a liaison between P&J and officials from FEMA as well as the Army Corps of Engineers. 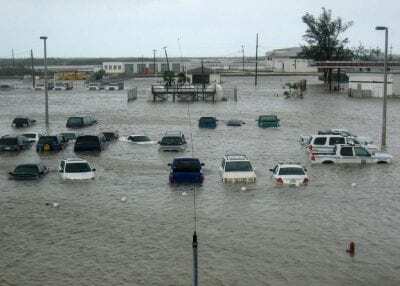 Hurricane Wilma was the most intense tropical cyclone ever recorded in the Atlantic basin, and the second-most intense tropical cyclone recorded in the Western Hemisphere, after Hurricane Patricia in 2015. Part of the record-breaking 2005 Atlantic hurricane season, which included three of the ten most intense Atlantic hurricanes ever (along with #4 Rita and #7 Katrina), Wilma was the twenty-second storm, thirteenth hurricane, sixth major hurricane, fourth Category 5 hurricane, and the second most destructive hurricane of the 2005 season. A tropical depression formed in the Caribbean Sea near Jamaica on October 15, headed westward, and intensified into a tropical storm two days later, which abruptly turned southward and was named Wilma. Wilma continued to strengthen, and eventually became a hurricane on October 18. Shortly thereafter, explosive intensification occurred, and in only 24 hours, Wilma became a Category 5 hurricane with wind speeds of 185 mph (298 km/h). Wilma’s intensity slowly leveled off after becoming a Category 5 hurricane, and winds had decreased to 150 mph (240 km/h) before it reached the Yucatán Peninsula on October 20 and 21. After crossing the Yucatán, Wilma emerged into the Gulf of Mexico as a Category 2 hurricane. As it began accelerating to the northeast, gradual re-intensification occurred, and the hurricane was upgraded to Category 3 status on October 24. Shortly thereafter, Wilma made landfall in Cape Romano, Florida with winds of 120 mph (190 km/h). As Wilma was crossing Florida, it briefly weakened back to a Category 2 hurricane, but again re-intensified as it reached the Atlantic Ocean. The hurricane intensified into a Category 3 hurricane for the last time, before weakening while accelerating northeastward. By October 26, Wilma transitioned into an extratropical cyclone southeast of Nova Scotia. Wilma made several landfalls, with the most destructive effects felt in the Yucatán Peninsula of Mexico, Cuba, and the U.S. state of Florida. At least 62 deaths were reported and damage totaled to $27.4 billion, of which $19 billion occurred in the United States. After Wilma, no other major hurricane made landfall in the contiguous United States until Hurricane Harvey made landfall in southern Texas on August 26, 2017, ending a record period of 11 years 10 months. During this time, major Atlantic hurricanes occurred slightly more frequently than average; they just didn’t make landfall in the United States. Also, after Wilma, no hurricane struck the state of Florida until Hurricane Hermine did so nearly 11 years later in 2016, and no major hurricane struck Florida until Hurricane Irma made landfall in early September 2017.